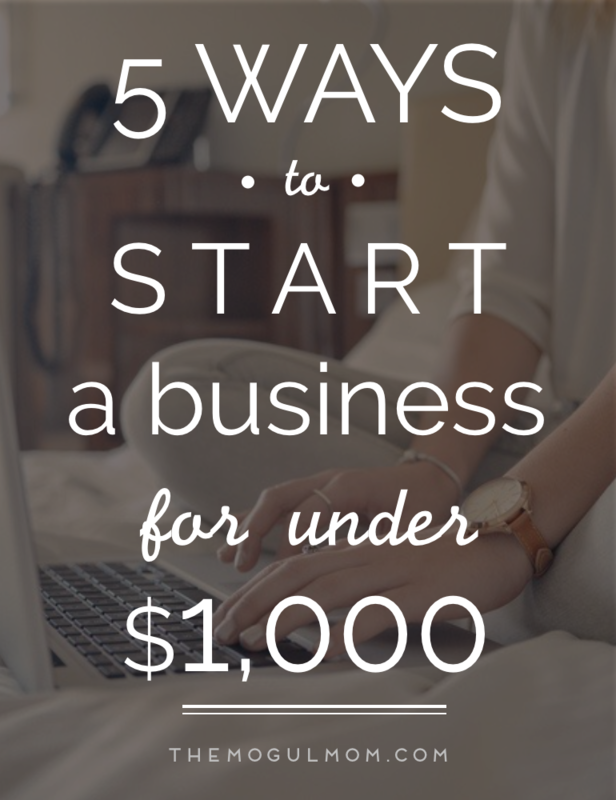 Ever wondered how to start a business under $1000? You can. This popular post from Heather Allard (updated in August 2017) shows you how. In 2004, I started 2 Virtues Inc. to bring my inventions, Swaddleaze and Blankeaze to market. I spent money like a rock star. I spent $54,000 and that didn’t even include product manufacturing. A lot has changed since then and Chris Guillebeau’s article titled “The Case for the $100 Business” got me thinking. 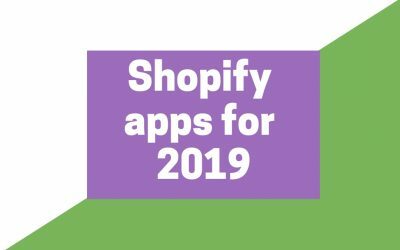 Shopify is increasing rapidly in popularity , in part because of its full service platform. They really make it easy to open an online store by providing all the tools and help you need. Do a rough sketch of your logo idea and diagram which colors should go where. It doesn’t matter if you have no drawing skills, just do the best you can. Ask the graphic designer to create my logo in both high resolution and low resolution so it could be used in print (business cards, brochures, etc) and online (email, websites, etc). Create a business letterhead using Google Docs. Very simply, I could import my logo and create a footer with my company information, including linkable website and email address. Buy the Get Famous eBook for $37 and use the tips and templates inside to begin pitching the media on my own (free!). Create an RSS feed using Feedburner so my blog posts are automatically delivered to readers who sign up. Choose 3-5 keywords and SEO the heck out of my site by using awesome title tags, meta description and meta tags for both pages and posts. Set up Google Analytics on my site so I can track who’s visiting, what they’re reading, who referred them and more. Cost: $37 if you purchase the book I mentioned. Aweber: build a relationship with your subscribers with auto responders that welcome and educate them. Mail Chimp: create awesome email marketing campaigns with loads of customization and integration options. Survey Monkey: the simple way to create surveys and learn more about your customers. Writeboard: shareable web-based text documents that let you save every edit, roll back to any version, and easily compare changes either solo or in collaboration with others. Total Cost of My New Business: about $950! Using these products, services and tips would have saved me over $52,000! Wow. That is a ton of money. I could have funded my first production run with that cash. And if I had my products manufactured in China from the get-go, I could have funded my first two production runs with that cash. So, instead of beating myself up about the financial mistakes I made five years ago, I hope to teach you how to avoid them. And maybe someday, if I ever start another business, I’ll do better now that I know better. How much did you spend on your start up? What would you do differently or more affordably? Did I forget anything? Heather Allard is a mom of three kids + one big rescue dog. She's a wellness buff, an essential oil educator with dōTERRA, and a self-professed “entrepreneur to the core”. Quick note! This post was recently updated with the latest information and some new resources. I would have already started with a program like aweber or Mailchimp. I’ve gained great insight from you and your experiences. I’ve even worked with Linda Lednum after reading about her in one of your posts. For anyone considering using her services, she is amazing to work with! Thank you, Heather and Linda!… On another note, you wrote that your design patent was “useless”. Could you elaborate on that? Would you have done things differently in terms of protecting your idea or swaddle pattern? I hope you’re able to share more. I’m so glad you enjoyed working with Linda – she’s wonderful, isn’t she? What I meant when I said my design patent was useless was that it didn’t offer the protection for how the blanket was *used*, only how the blanket *looked*. So, in essence, someone could have made the exact same blanket and just changed the neckline a bit, and the USPTO would consider it a different blanket. If you want full protection for how your product is used, a utility patent is your best bet, but it’s also much more expensive. I hope this helps! Good luck to you and God bless! Thanks so much for your response! May I ask one more thing? I had someone suggest I copyright a pattern to my design instead of filing for a patent because there are “ways around patents” and patents are more expensive. What are your thoughts on that? Thanks again! Heather, I love your site. And I think you’re amazing. I never knew you created my favorite swaddle blanket EVER!! In fact, my son is sleeping in one upstairs now 🙂 I’d love to interview you for my site, MomFounded.com. I’m also a product inventor, but a very frugal one. Luckily for me, we don’t HAVE the extra money to blow so I’ve found amazing ways to cut corners in the right places (hiring freelancers from Elance, outsourcing my product design to India, taking advantage of crowdfunding, etc.). I’m going to be sharing this journey, much like you, on this website so I’d love for you to join us! Great post! I’ve recently gone through the process of design/prototype/patent/market with an innovative baby carrier and wish I had known about your website when I was just beginning the journey! Thanks for being a great resource – I’ll be checking in often! Great website! I have been dabbling in a few small businesses and always appreciate reading some good tips. Thanks for posting! I am a young entrepreneur and I am on a 1 year plan to starting my business. I came across this site within 2 weeks of my endeavors and coincidently have been using majority of these sources mentioned. Alibaba was my first site I found and I have been brainstorming since. I have no guidance in what I am doing- just want a foundation of my own. I am so thankful to have been inspired by this site. You are not only successful, but have priceless insight, and a mother! Big ups to you!! I always say I am fearful of being a mother if I do not have the means to support my family.. Thank you for sharing all your knowledge with the world. People like me need it! I will subscribe and stay tuned. Thank you, Elaina! I’m so happy this article helped you and that you were already off to a great start. 🙂 You might also like http://marieforleo.com – she has wonderful advice for entrepreneurs with a strong focus on women. Starting a business in Vancouver, Washington requires $180 for LLC registration, $15 for state business license, and $125 for the City business license (more depending upon business type). Which reinforces why it’s so critical to keep costs low initially while your baby business is cash-poor and your personal labor is relatively cheap. On advice from a friend at a non-profit, I did find a hosting site that’s significantly cheaper and was easy to use for someone like me who doesn’t want to dive into DNS lookups and routing tables. host-ed.net gave me a year of hosting, 5 free domain names, unlimited traffic, etc for less than $50, and I haven’t had to mess with DNS updates. And it’s been powerful enough that when I do have time to develop the site more, it can do all of the fancy stuff that a bigger company’s site would have. In other words, it’s not so user-friendly that it’ll keep me from making my site better. I went through Futuregrounds.net for logo, business card, and letterhead design, and got a screaming good deal. A local credit union provides basic no-fee business checking with all the online options I’ll need later on. FanfareSM.com was able to hook me up with a VERY inexpensive sponsorship opportunity that allowed me to get my name out to a broad local audience, while also helping a school sports program. The initial push for customers is the hardest until word of mouth picks up. I’ve partnered with a local print shop to print 250 business cards using my new logo for $25. So I’ve been able to support other small businesses, get my name out, site up, custom logo, business licenses and registration, and financial services, and we’re just now up to $1,000. Yes, it’s totally doable, and can even be broken up into phases. Best of luck! I loved this article and found it very helpful when considering expenses and ways to keep cost down. You provided some great tips for an aspiring entrepreneur like myself. I had a question regarding manufacturing overseas. How/What is the best way to go about finding overseas manufacturers and having a prototype/samples made? I have a particular women’s fashion accessory line I am working to create. I am not savvy with a sewing machine/drawing, but do have all the creative design concepts in my brain and could use help translating that onto paper/having samples made. I am eager to get samples of my product developed. If there are any “how to”(and cost effective) tips you can provide, as well as overseas manufacture recommendations you may have, I would love to hear about it. Hi Sandra! So glad you found the article helpful! You might contact Linda Lednum at http://patterndepartment.com to see if she can assist you with the prototyping for your line. And if she can’t, maybe she can refer someone. I loved working with her! 🙂 Check out https://www.themogulmom.com/contact for overseas manufacturing recommendations. 🙂 Hope that helps! Good luck to you! Thanks so much for sharing your knowledge. I am in the very beginning of starting a blog/website…a bit nervous, but need to move forward. I appreciate all your ideas and willingness to share them. Hindsight is 20/20…always! Publicists can eat into your pockets…so it’s important you do it at the right time for your business. By the way, I’ve signed for HARO, too. Hello, I first of all want to say thank you for all the information provided! This has been very helpful to me, though I am wondering if you have any information on weather or not I need a business license to sell my product? I am mostly selling to friends of friends and off of craigslist but I would like to get my product into a music shop ( I make drum accessories). What kind of legal backing do I need to have… patten, business license all the fun legal stuff to protect my self and my products. Omg… Your site is phenomenal. These are all great tools to starting my own furniture design business and later on my own marketing firm. Would you give up 3-5% of your revenue for a $1000 investment in your idea? An even cheaper idea would be to use Fiverr for some of your graphic work. There are some AMAZING graphic designers who charge just $5 per graphic. If you don’t like it, you only spent $5. What hosting company do you recommend and how does that work with Thesis? Do you sign up for Thesis first, develop your page, and then find a hosting company? Is there a typo in #3 DIY? Is “Get Famous” $37 or $97? Whoops – thanks for pointing out our mistake. We actually have two versions of Get Famous for sale – the ebook only version is $37 and the deluxe version is $97 (ebook, 2500 media contacts and much more). I stared my business for $100! I already owned a sewing machine, I bought fabric and thread, and I was off… Now I’m having a 20% increase in sales one month after the next since July! Just figure out what you have or can do, that people want, and get your self out there. Jump in with both feet and don’t be afraid to adapt as you go. Your customers will be your inspiration for new and interesting ideas, so as long as you listen to what they want, you can’t go wrong! Love your blog MogulMom, thanks for the good reads! This was so helpful. I’m about to leave my career and start off on my own (scary!). In the meantime, I’ve been trying so hard to make sure I’ve planned for everything and I haven’t run across many posts that were so complete and concise at the same time. This will definitely make my favorites list of helpful tools. Yeah, I spent the loads of money the first time around. I’m going the DIY inexpensive route this time because that money was just used on a learning experience. WordPress is really a good blogging platform. I’m using it. You can also hire from Odesk. Some are really competitive and affordable. Heather, this is fantastic advice!! I wrote about starting my business with $1,015 a few years ago and how I got laughed at by a friend who got a business loan and spent well over $50,000. He’s no longer in business. I think the key is to start small and DIY as much as possible. I took the self-hosted WordPress site with Thesis as well as finding a freelancer to design my logo. It was the best thing I did the the best $1000 I ever spent. Great post. Will check out those free apps to help make my brand more effective. I loved your post. I am one of the those that get’s a natural high from getting the very most from my hard earned buck. When I first started, I too thought you had you spend alot to make alot. I spent 2000 plus hours on a DYI website with shopping cart that no one could find in the end…now I have an ETSY shop (I totally recommend this for the Artisan Mom). Every thing is at my fingertips: search engine, shopping cart, info. Etsy is also an online community of crafts people. It’s great for networking and finding out about local events where I can showcase my product. ETSY is also a great place to find talent for your graphic design needs as well. I had my company logo designed for under $50, and this included a shop banner and avatar. For printed supplies, I use Vistaprint. They send out e-mails every other day which can get annoying, so I’ve created an e-mail folder that they get dumped into. When I need say…business cards or brochures printed, I sort through all the Vistaprint offers until I find what I need. Last month I paid $48 for 500 business cards, a magnetic sign for my car door, and a 6ft PVC banner for tradeshows. There are deals to be had everywhere, the question is how much time can you spare finding them. Heather all I can say is, wow what a post! My wife has been looking and wondering what tools to use to better her blog and build her brand. Thank you, thank you, thank you, for sharing and having the “heart of a servant leader”. Best wishes to you and yours. I understand EXACTLY what you did because this is MY story. I ran up credit card bills the first time around. Got the fancy photographer for the products — the works. And then… gave away more product than I sold… Now this time around, I’m much smarter. Got a really good camera and took my own product shots, doing a lot of DIY PR and just being smarter this time around. Thank you for this post because I’m sure we are not alone. Thank you for this post. Wow! Just a different approach can save tons of mula and help one understand that it can be done. Yep, sometimes it’s the little things that make a BIG difference. 🙂 Glad you enjoyed it. Heather, thanks for that list of resources. I’m pretty certain that an Aweber account is in my (pretty soon) future? Apparently those were affiliate links. (sigh) Well, I guess we all gotta pay for our dinner. This is great and very informative post. Although I haven’t started my business yet, I’ve learned many interesting and important aspects here. Thanks a lot for sharing. While you include a lot of valuable tips and resources here (thank you! ), I beg to differ with what you say about logo design(ers). Perhaps I’m biased. However, a logo is an investment for your business. Being one of the faces of your company, this is not something you should overlook. It doesn’t seem that important, but a logo should speak to your audience subconsciously. A good logo, anyway. For that you need to hire a good logo designer – someone that knows what they’re doing because they’ve devoted years to it. There’s a reason you’re hiring someone to do it for you – because they can do it better. They can choose the colors better and they can do the sketch better because they have better ideas. It’s their job. It’s also insulting to tell people how long it will take them to do their job (“one or two hours”). Sites like eLance are good for quantity, not quality. There are certainly misguided exceptions, but for the most part, the people there just process what you tell them and churn out an image. No creativity and no thought behind it. Wow, yes your post def has long legs as it’s 2011 and Im responding to it! Thanks for your honesty in your business makings and mistakes 🙂 We are finishing year one of our business….and we definitely have learned what we have done right and what we have done not so right! One tip: We used a FREE program called GIMP to design our material — business cards, website, flyers/promotional items etc. It’s not a hard program to use at all and they have an amazing amount of graphics. Ug! Thank you so much for passing on your valuable resources. The amount of information out there is so daunting. It is nice to hear what has worked for you. Good luck with your business(es)! Thanks so much, Emily! Good luck with *your* business, too. Let me know how I can help, ok? I don’t even have THAT kind of money. I’m trying to sell my art, and original painted t-shirts, AND hold art/craft sessions in my local area so I don’t think I need to go large, but I need to get seen and do it cheaply. I sell at our local farmers market and I’ve just produced a 1/4 page flyer listing classes, etc. ; and I think I can get a free banner from Vistaprints when I reorder cards…..and I’ve got my website but I don’t really know how to get followers aside from handing out my business cards. I’ll glean anything you’ve got…. because really – I have very, very little money and I seriously need to make some. I’m so happy I found this website. Now if I can just not spend the whole day sitting here reading it I’ll be working in the right direction. 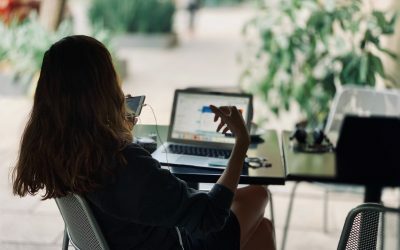 You might also try starting a Facebook page and Twitter account for your business – social media is a wonderful, FREE way to market your business. Heather, You and I are on the same wavelength here! I’m building my company on a shoestring budget (more like a velcro strap). I used LogoNerds to get a logo, banner and header created (and even found a coupon for $10), so it only costs me $57 for all three. I also “subleased” barcodes from a company, rather than having to buy my own membership. I created my own website using a free template, and learned how to do it by checking out books from the library. I’m a penny pincher and proud of it! Ooh, Ellen…I didn’t know you could “rent” barcodes! That’s genius! This is great information! I am new to the blogging business and trying to find what resources are necessary and which ones aren’t, what I should pay for and what I can do for free is a nightmare! Thank you for sharing! You’re welcome, Bernice! Glad it was helpful. 😀 Do you subscribe to Problogger.net? That’s a wonderful resource for new (and not so new!) bloggers. Wow, reading through all the previous posts has helped me tremedously. Heather your post alone saved me soooo much time! I’m at the early start-up stage of my on-line business and the information out there for what to use, is really overwhelming. Thanks again, I’ll be checking out all your suggestions for sure. You are definitely making this process much easier for me and I can’t thank-you enough!!!! Thank you for introducing me to Clicky, I’ve never seen it before, but I can’t wait to test it out & I’m always on the lookout for amazing, free services! It also looks great for checking out analytics as an iPhone App. . . awesome. Also looking forward to Writeboard. If you’re intention is to start a business with others, Dropbox is another great free service that allows you to share and access communal documents easily. Great article! I am a rep. for direct sales businesses and the home offices provide a lot of these services to us at minimal or no cost. BUT, I find that I am tempted to spend a lot of money on “extras” to grow my business. Your suggestions are very helpful! Thanks, Vickie! Glad you liked it. Your site looks awesome! (I love Thesis too!) I lived in ATL for a few years before I had children and loved it!! Nice to “meet” you and thanks for commenting! I have learned so much from your blog and enjoyed your story. Here you said that you would use WordPress with Thesis premium theme, and in one of your other posts you recommend the course called “Become A Blogger Premium”. My question is would the two be compatible? hi patricia! thanks so much for your kind words – i’m glad you’ve learned from my blog. ;D ok, so yes…wordpress + thesis + become a blogger premium are totally compatible. become a blogger premium teaches you how to set up your wordpress blog step by step and thesis is an awesome customizable theme for a wordpress blog. so they all go together like peanut butter and chocolate. lol. A tip I received from a mentor (and client) is to be sure to build a very strong personal network because a small business startup will rely on heavily on friends and family to get the ball rolling. Your tips strike a chord for me. I love to spend money, but only when there’s a true value – with measurable return on my investment. Thanks for great content. I’m a now a subscriber. That would knock your cost down to $347! It’s amazing what technology allows us to do these days. I just met another mom entrepreneur this morning who recommended your site to me which I am soooo grateful she did 🙂 We shared our own stories of spending too much starting our companies (I spent $25K) between logo design , websites, packaging , etc…. Your site and it’s tips are fantastic… I only wish I knew about it before I spent my money but you can be sure I will from this point on. Thank you so much for this invaluable information. I’m so pleased to have found someone else who doesn’t like spending money. When I set up my first business in 1992 all I spent was the price of thirty stamps. I wrote individual letters to thirty people letting them know that I had resigned from my post and was now working for myself. I didn’t ever get around to following the letters up because five people on my list contacted me with offers of consulting work. Now I’m starting a new business, I’ll certianly follow your advice. Thanks so much for taking the time to comment – I hope this is “your” year. 😀 Please let me know if there’s anything I can do to help. I so appreciate your support and kind words. You just planned out the entire plan for starting an online business, and you gave it away for free!?! You, madam, are a kind heart. I appreciate this, big time. Thanks! Glad you liked it! Happy to share. If you want to sell items that you handmake, the best marketplace is Etsy.com I opened my etsy shop just over a year ago and love how Etsy brings shoppers to me. I have been able to build a very successful business on Etsy with very little cost. My shop is located at http://norianesbijoux.etsy.com if you’d like to see what an Etsy shop looks like. Feel free to contact me there if you’d like more info on opening your own Etsy shop. .-= Noriane E.´s last blog ..Twilight Christmas Ornament – Giant Crystal Heart – Set of 4 =-. Thanks for all these tips and tools. It is indeed very inspiring the way you put it so nicely. I am really looking forward to set up new business your way. .-= PC ´s last blog ..Secret Ninja Mode in Google Reader =-. I’ve always been a boot strapper and have started three businesses for under $5000 – but this post definitely taught me a few things! Great information here and thanks for the shout out on the PR in Pajamas book. I want to add a money saving tip that I am in the process of moving all my sites to BlueHost.com which offers a hosting package of about $85 a year for unlimited URLs! This has saved me about $400 in various costs with all my sites. I look forward to more of your great posts. .-= Elena´s last blog ..Interview with Marybeth Bond on Author PR and Oprah =-. As always, you ROCK. Thank you for the tip about BlueHost–I’ll have to check that out. You know me, I’m always registering domains. LOL. Love your bootstrapping advice too–thank you! A great article Heather! Honest, straight from the heart and full with lots of tips and advice, love it!!! I love your tips about Elance they are a great source for getting Logo & Website design. I have used the site several times over the years. 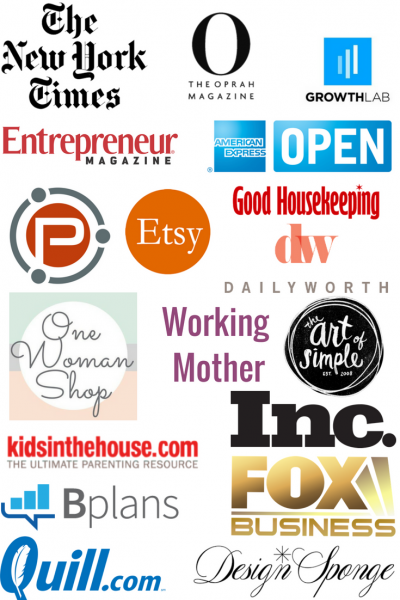 Most people can get their logo done for less than $300 if there are many bidders for the job. Another thing is many web and log designers us online photo sites like http://www.istockphoto.com to get pics for design so those who have some design skill can design there own site using WordPress like you mentioned and add some cool pics purchased from IStock Photo. I am now using Squarespace to design my new website http://www.squarespace.com it’s affordable and easy to use. Have a great day Heather 🙂 !!! I worked in mktg & advtg for 10+ years (Tier I brands with deep pockets) but a new start-up requires a totally different mind set. (I learned the hard way! 🙂 Be LEAN, PATIENT & SCRAPPY!! Most importantly, know WHO you are going to sell to (B2C, B2B) & HOW you make money. End of the day: you need to SELL! This is one terrific post! Excellent information. Thanks so much! Wow! Thank you so much for sharing! I read this on the recommendation of Holly and am so glad I did! I have just quit my paying job to stay at home with my girls and , God willing, get my web site off the ground. I will certainly be able to use many of the things you said! Great post Heather! With a little elbow grease and research you can really can start a business on a shoe string budget! I do wish though that I could buy some additional time to work on all the new ideas that I have floating around in my head. Thanks for sharing your experience and insight. Great post – you’ve done an incredible job of bringing together tips, tricks and hints that I’ve heard and read about but haven’t fully researched into one place with a recommendation! Thank you for making this easier for all us by learning through your experience. .-= Gina´s last blog ..Keeping our kids away from drugs by sharing dinner together. =-. You are too kind Heather! Also, I have a Flip camera and really like it;)! Enjoying everyone’s tips, thanks! .-= MommaDJane´s last blog ..Blog Update =-. Great blog Heather! I was super careful with startup dollars and although I don’t have the numbers, it was pretty low. I did my website, logo, label design, LLC myself. I have heard over and over though: “do what you are really good at and hire people to do the rest”. It is just now really that I am going outside of myself to have a few things done more professionally (and more costly) but I have to say that comes with a whole other set of issues! I guess it’s a challenge either way but if you can self-start it certainly takes a lot of financial burden and worry out of the picture, which is huge. Great tips Heather! I started Mom 4 Life on eBay over 6 years ago and the start up costs were $100 (the minimum wholesale purchase of my first product). I grew from there with demand and rolled my profits back into my business allowing me to grow from the start debt free. I fantasize about the ultimate time-machine all the time! If I had a time machine, I’d take this awesome post and save $31,000 from last year’s business mistakes. I’m still working to forgive myself for hiring a team of business consultants to ‘get my business on the path for success’ – for $12,000 they put themselves on the path- haha!! Thanks so much for sharing – it’s not something we like to admit. I’m definitely going to send this post to my husband – maybe he’ll get off my back – hahahaaaaahaahaaa! Susie…hahahaha…every once in awhile my husband STILL reminds me of my costly mistakes. So, hopefully this post will take the heat off you. 😉 Hee. Don’t underestimate the power of the Guru.com! I had my logo, which I LOVE designed for <$50, my marketing document which looks very professional and fun created for <$80, and even a book illustrator and separate book designer help me bring a color children's story to the market at prices I could afford. There is real talent out there at affordable rates, that can make you look much bigger than a one person shop with self-made materials. Yeah, there are things I would do different, but getting out there is how we learn! i think your story and this post are amazing! your insighfulness is not only helpful to mom entrepreneurs but men as well! 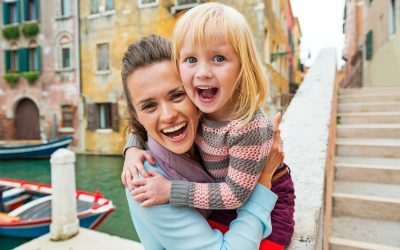 (besides- it is my humble opinion that women understand and demonstrate much greater success in social media and social networking than men, but that’s just because of my observation and i digress) I have had MANY new ideas in the last 9 months of blogging and owe a lot of my ideas to twitter. Twitter has given me renewed energy to start a new venture social networking san diego and social media consulting for small businesses is my current passion. Keep up the good work and all the best to you and your family! .-= social networking san diego´s last blog ..3 Easy Ways To Set Up A Business Intelligence system using social media =-. Thanks for sharing your story, Justin! Wishing you continued success!! Another great article! It is amazing what free resources are available. At my stage of the game, I need to DIY everything and have found that I really enjoy learning new applications that help promote me or my business with out sticking more money into The Dinner Spin. You’re welcome, Janis…thank YOU for your nice comment! It’s quite refreshing to know that I’m not the only one who’s made some less than optimal start up decisions. The first year, I spent $20K on advertising that didn’t do too much. For people looking to incorporate, it’s not worth paying someone several hundred (or thousand) dollars. With a little patience you can set up an LLC on line. Most states have a website (and a tutorial) where you can apply online. I was ready to pay a lawyer to handle this but she encouraged me to try it on my own. She mentioned that most entrepreneurs will set up more than one company in their lifetime and it would be valuable (and cost effective) to know how to do it. She was right. For printing promotional materials (including stationery) consider overnightprints.com . I think the key thing for all of us to remember is that we will make mistakes and then we need to move on. .-= Tracy Young´s last blog ..Something Borrowed, Something Blue =-. I didn’t even mention the cost of a design patent, trademarks and incorporation (about $5000 total). I could have easily done the incorporation or LLC thing myself and the design patent was basically useless. Another Homer Simpson “DOH!” moment. LOL. I love the lesson that you shared Heather! Thank you so much for sharing such an invaluable lesson. I’ve made quite a few costly mistakes thus far primarily due to haste and/or lack of desire to take longer to search for less expensive options. In all, I’d estimate that I spent around $12K which includes website, logo, initial local product run, initial product run in China, packaging, trips to check out trade shows, etc. Looking back, I know that I could have easily cut those costs in half. But, lesson learned which makes us wiser for the new challenges. .-= LeNesha´s last blog ..E-Book Giveaway: How To Get Baby Product Press To Write About You =-. .-= CathysWraps´s last undefined ..If you register your site for free at =-. Another AWESOME blog post, jammed with great information. In my pre-Mom life, I had a corporate job, with separate departments to take care of a all these details, lol. Since I’ve been in business for myself for about 1 1/2 years, I’ve learned A LOT about bootstrapping my way through this start-up adventure. — he did a great job for me. 2) On a related note, you shouldn’t necessarily take the low bid in each situation — sometimes you really do get what you pay for — as I read in a previous post, you can pay for a cheap shopping cart, but then you may have a ton of user-maintenance related fees or headaches going forward. I told my web designer I needed an e-commerce solution that would see me through the first 1 -2 years and then I’d revisit things — 6 months in, so far, so good! 3) Find a mentor or someone that’s started a business somewhat similar to yours. If you don’t know anyone personally, THE MOGUL MOM is a GREAT resource — I’ve subscribed to her feeds, never fail to read her e-mails and now visit the website DAILY. Before I found Mogul Mom, luckily I had a good friend with lots of experience in taking new products to market who helped guide me past the rough spots and saved me from myself on more than one occasion! 4) Try all the FREE stuff there is, but don’t be afraid to PAY for services outside of your own expertise. I’m the most knowledgable expert in the world about my own product, I’m good on creative and sales, decent on business basics, but am happy to pay for legal, CPA, and tech specific functions in which I’m NOT an expert. 5) Network, network, network — you never know where your next customer or biggest promoter will come from, and once you land a customer, make them your biggest fan through excellent service — they will sell your product for you! Sorry for the long Reply, but I just came off a weekend show that had sapped all my energy and this blog post got me all fired up again. Thanks for the boost! I agree with you–Wordpress is AWESOME. It’s so versatile, customizable and getting better and better every day. I was so afraid to switch from Blogger to WordPress and now I’m SO GLAD I did. WordPress is truly an incredible tool for bloggers AND business owners. Brilliant post. Hindsight is BEST sight, no doubt. I spent-more like wasted- so much time learning how to write a websight only to now recommend starting with a self-hosted WP blog. They have so many features, and it’s getting easier every day. There’s lots of how-to DIY videos for WP on YouTube if you get stuck, too. Thanks, Heather, once again, you’ve outdone yourself! .-= Deb´s last blog ..Free Computer Programming Software – Alice.org =-. Thank you so much for all of your insight and experiences. I have been a silent follower of yours for some time. I haven’t so far made any major financial excesses in my business, but I have definitely put in a lot of time doing things that haven’t worked. It is so hard to figure out what is worth putting time and money into, and what isn’t. I started my business with my sisters (there are 5 of us) and we each have our own talents to bring to the table. One of my sisters is a graphic designer, so that has been nice for us. I am the marketing/website person, and have fumbled around a lot. I feel like I am finally getting a handle on it thanks in part to you and your wonderful advise! I bet if we calculated how much our time is worth and multiplied that by the hours we spent on our startup, that number would be staggering. 😉 Not all “expenses” are financial right? I commend you for sharing your financial mistakes with us, which only goes to prove, you’re passed all that and have moved forward! More important, you sharing this difficult experience demonstrates your genuine passion to teach. -Combination runs for product package printing. -Yahoo or Go Daddy websites are inexpensive & user friendly. When we launched our site, Yahoo’s new merchant website set-up cost was approx. $40-$50 (includes domain registration, shopping cart & hosting). Basic stuff, but offers enough for a start-up. -Find graphic student to help design logo. Found a newly graduate graphic art student to design logo-$50 with 2 revisions (she worked at a car rental office we patronize). Start-up was minimal, the major cost came 6 months later when we attended our first trade show – approx. $6k-$7k (exhibit fees, booth display materials, travel expense, etc.). I recommend finding smaller trade shows to attend, the one we attended was a major industry show. There was some savings in the travel expense-free hotel room (thanks to my sister-in-law) & a couple of free meals & we drove to the venue. Thank you Heather for sharing your difficult experience and the great money saving tips. This will help so many. Oooh…the graphic design student idea is awesome!! Thanks for that great idea. I found trade shows to be very expensive too–I attended two and didn’t take an order at either. Hi Heather!! It’s been a while…anyway, interesting reading – you are famously fabulous as ususal! Like so many others in the group, my lessons learned were not as financially painful as yours but I guarantee after having read all of the triumphs you pursued (notice I said ‘pursued triumphs’ not ‘failures’ – positive thinking is powerful and essential to be able to forgive and not beat yourself up) you can bet that your lessons I will not soon forget! That said, when all was said and done I spent about $10,ooo and frankly A LOT of that came from not knowing what I didn’t know. For example, I spent money on a website building/hosting service http://www.1and1.com to “affordably” set up my website only to find that for as ‘easy’ as they claimed it to be, it was much harder and not at all customizable to the extent that I needed it to be without extremely expensive upgrades and a keen knowledge of html. On a more positive note though, I did use VistaPrint for business cards, etc. to take advantage of the “free” products that they offer. To better customize the stationery to suit my personal needs I paid a bit more than “free” but it was still very inexpensive. I’ve only been online since May and though there have been some financial missteps, there have also been some rockin’ triumps and things are looking up. Like you said, don’t get stuck in the beating up of yourself, but rather give yourself the chance to learn and grow realizing that every step of the way you’ll be the better for it even it’s hard to dust yourself off afterwards. I see those 1 and 1 ads in Entrepreneur magazine all the time and wonder about them. Thankfully I ran into the right people by accident, on my 1st business, I spent $300 on my 1st web design, $12.95 a month for hosting which included a free shopping cart & amazingly simple software. That’s it, I was up and running in 24 hours & started stocking my inventory on my website, I then started my 2nd business Shabby Lane Shops, using the same great software & free shopping cart for $12.95 a month, Paid a year up front & saved 15%, learned web design & maintain my design & site myself, meet incredible people every day & help people promote their business in a very affordable way. Loved your article!! thanks ! Great advice. It’s so important to keep your passion and excitement while also examining every possible way to do things less expensively. For my business, I would have prioritized my distribution channels a little differently. I underestimated online sales and over estimated initial retail sales. I spent too much on final retail packaging for my first production run when I could have shipped the online orders in plain boxes while showing simple concept renderings of the packaging to potential retail partners. I did the exact same thing–I had three different packaging options created when my primary business was online/catalog sales. Ugh. Great post! My lessons learned weren’t as expensive, but things I could have avoided had I taken the time to properly research how to start a business AND written a business plan in advance. I had registered a tradename, and then had to pay to unregister it to organize as an LLC. I’m starting a new small venture and am moving at a much more thoughtful pace this time around – your post reminded me of a few things I need to think of before jumping out the gate. Thank You! Gail–I love that: “I’m moving at a much more thoughtful pace this time”. Great advice for anyone just starting out.